The city of Johnstown has lost 70.8 percent of its population since its peak. Fifteen years ago Philadelphia was yet another Rust Belt city wrestling with decline. Today, as the Pew Charitable Trust’s latest State of the City report has shown, the city is on an upward trajectory, adding population in recent years for the first time since 1950, and adding jobs, too. Philadelphia has a highly educated population, with nearly 38 percent of people over the age of 25 in the region having a college degree. This is critical in a knowledge economy era, when biomedical research, high-tech and digital business, creative service, and health care are in high demand. While not quite at the most elite levels, Philadelphia’s share of adults with a college degree is significantly above the national average. Yet so many other cities in Pennsylvania and the greater Northeast remain troubled. Can they, too, start a rebound, or will they continue to struggle for revival? By contrast, as I document in my new Manhattan Institute report How Stagnating Cities Can Prepare for the Future, many of the other struggling cities in Pennsylvania that might look to emulate Philadelphia tend to lack the same assets and attributes, which hobbles their ability to turn around in the current economic and cultural climate. Consider Johnstown in the middle of the state. It’s in a small region of only 133,000 people and it’s too remote for residents to easily commute to Pittsburgh. 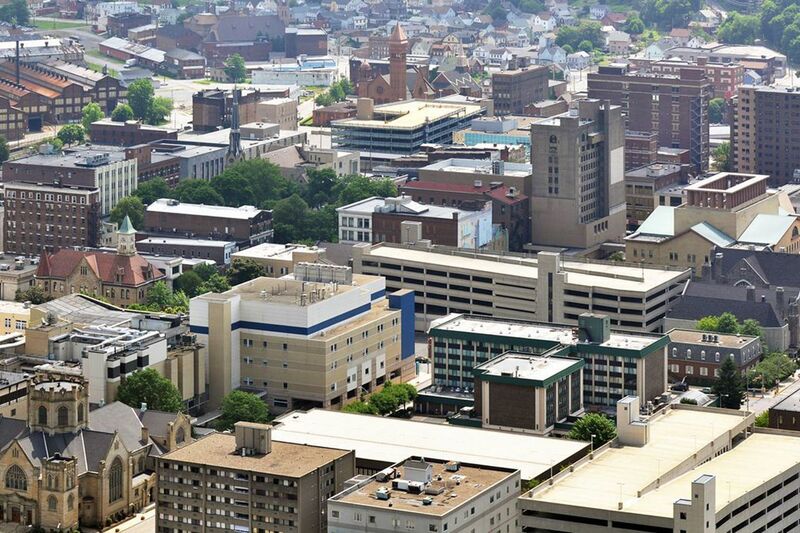 The city of Johnstown has lost 70.8 percent of its population since its peak. And only 21 percent of its adults have a college degree, far below the national average of 32 percent. It does not have a major research university or corporate headquarters. Many other places face similar issues, including regions like Altoona, Reading, and Williamsport. They are joined by many more in other states, like Flint, Saginaw, and Youngstown and places many aren’t familiar with like Danville, Ill. Many of these are smaller metropolitan regions with fewer than one million people. This itself can be a liability – the big exception being major college towns (think: State College, Pa.) – because they lack the scale to provide urban amenities, support a major airport, and other hallmarks of city living. They tend to lack elite research universities and Fortune 500 headquarters. These cities often have lower end economies and poor educational attainment. It’s more difficult for them to recruit the increasing number of “power couples” in which both spouses have college degrees and a corporate career. These couples have increasingly concentrated in larger cities that can support both careers. Additionally, their demographic and economic challenges are frequently far greater than Philadelphia’s. None of this means that we should give up on or write off Johnstown and other places like it. Rather, it means we must recognize that these places face a much tougher strategic situation than Philadelphia, and thus strategies that might benefit Philadelphia probably won’t help them. Philadelphia, for example, can invest in its greater Center City innovation district, or in improved rail connectivity to New York and Washington. But smaller struggling cities should instead focus on fixing their finances, restructuring their governance, and rebuilding public services to create the preconditions for revival that may only come when and if larger macroeconomic and cultural trends change. Philadelphia’s revival, then, may not provide a playbook for other cities. Instead, it’s a case of a place starting toward reclaiming its rightful place as one of America’s historically great cities. Aaron Renn is a senior fellow at the Manhattan Institute and author of the recent report, How Stagnating Cities Can Prepare for the Future.